The average selling price for a home in Ambleside in 2017 is sitting at $591,400. 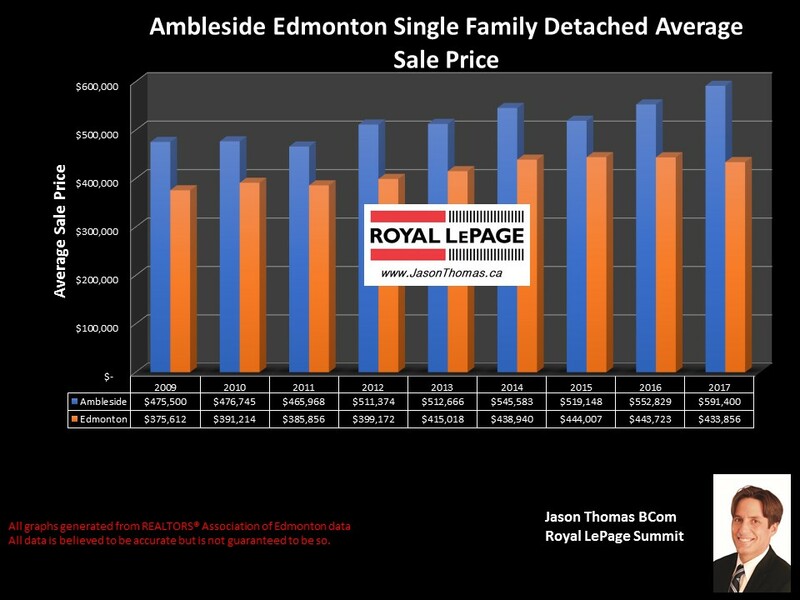 That is higher than last year, in 2016 Ambleside finished the year at an average sold price of $552,829 The average time to sell a home in Ambleside has been 48 days, which is much quicker than the Edmonton average days on market of 61 days so far in 2017. The highest price that a single family detached home has sold for in Ambleside this year has been $758,000. As for the duplex market in Ambleside, the average sold price for a duplex in 2016 was $461,027. That average is skewed higher due to a couple large executive bungalows that sold this year.